Usually, even the biggest and best resorts are self contained in a larger city. Banff did not get that memo. 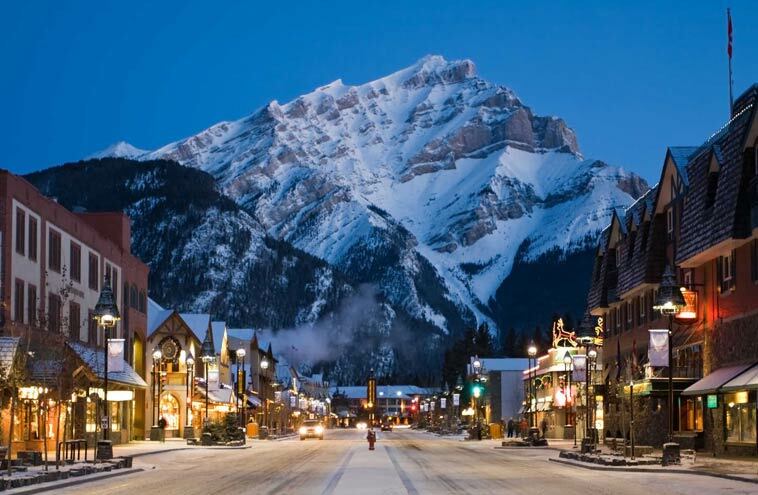 Located in Alberta Canada, Banff is a full on resort town, filled with landmarks and attractions for all ages. Because of the beautiful Canadian scenery, hiking is the marquee event at Banff. You can choose guided tours and adventure out on your own, all year round. In fact, the winter months are some of the most popular because of the pristine view of snow on the surrounding mountains. 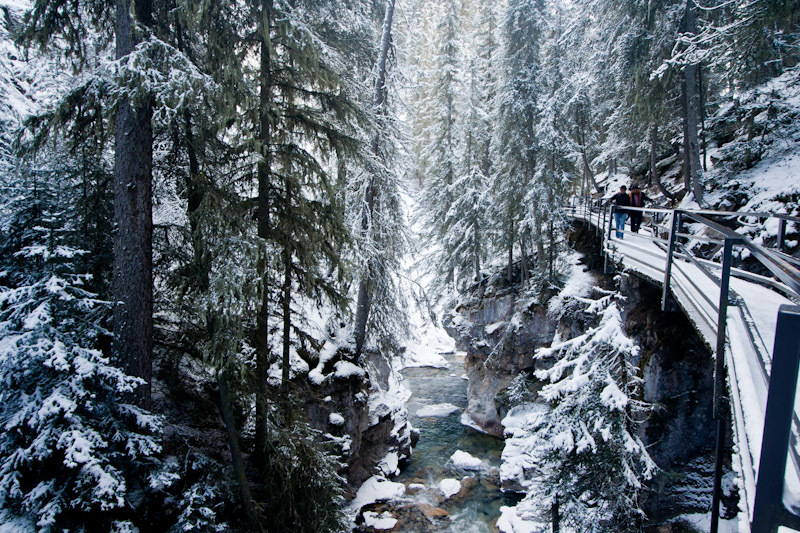 This makes the Johnston Canyon Icewalk one of, if not the, most popular things to do there. The 4-hour tour brings you through a path of man-made catwalks along the canyon walls. It will run you a premium ($76 for adults), but is a must for hiking enthusiasts. In the warmer months, you can explore the waters of Banff with canoeing, kayaking or paddle boarding the multiple lakes. This tranquil escape is good for both beginners or experts of the water, as you can bring your own boat or rent from there. On those same lakes – when it’s cold enough – you can ice skate too. 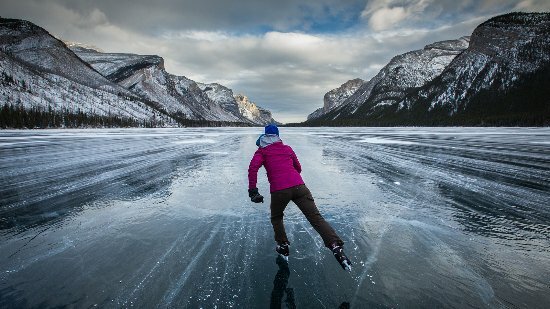 Skating on a frozen lake is an exhilarating opportunity that is Canadian as it comes. There are also a few indoor rinks if you want to blade without safety worries. 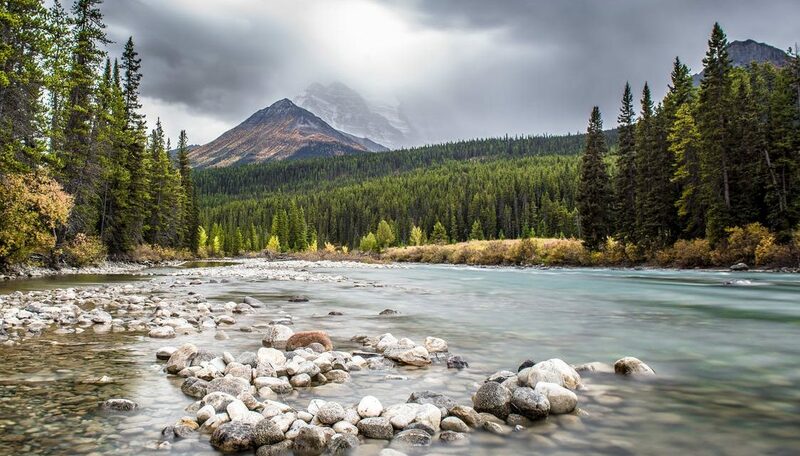 Depending on what time of the year you are in Banff, there are ample of outdoor adventures to go for , including rock climbing, biking, cross-country skiing, dog sledding (! ), sleigh rides and horseback riding. If you’re more of an indoor body, don’t worry, they got you covered there too. The town centre has a cinema, bowling alley, a couple museums, and sufficient stores and malls for shoppers. This is all outside your hotel/lodge, some of which are so nice you’ll be hard-pressed to leave it. There are many places to stay, and whether you want a fancy hotel, a historic bed & breakfast, or a campground, you can find what you need. It’s a winter escape that will certainly take you at least a few days to take part in what the city has to offer. If you’re ever near, or considering traveling to western Canada, make sure to stop by and partake in the spectacular Banff for yourself.